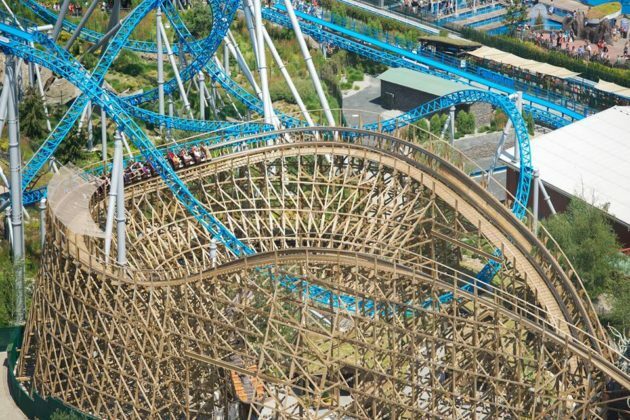 Barcelona, Spain — The 5th edition of the European Star Award was presented in the Mexico area of PortAventura Park in conjunction with the European Attractions Show. Awarded by International Kirmes & Park Review, the independent and non-profit European Star Award is dedicated explicit to the European theme park industry. The winners are voted by an international team of experts in 13 categories. In each category, members of the trade jury were able to award their three personal favorites. Choices could be made from theme and water parks throughout Europe, including Russia and Turkey, with the minimum citeria of at least on operating attraction at the park.